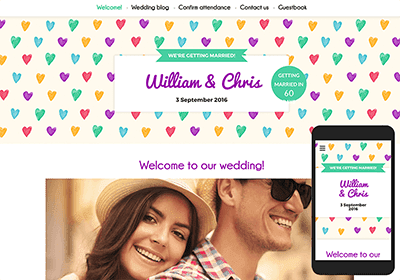 Your wedding schedule, accommodations, RSVPs and more — share all of your details with guests with your WeddingWire Wedding Website! 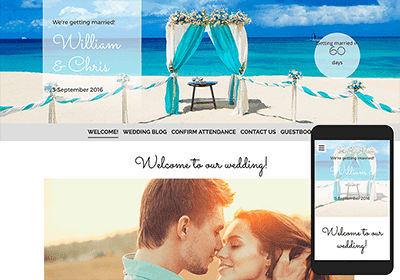 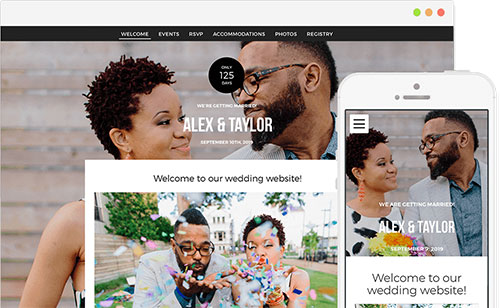 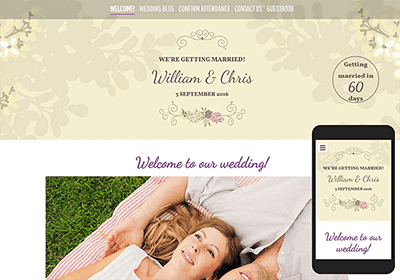 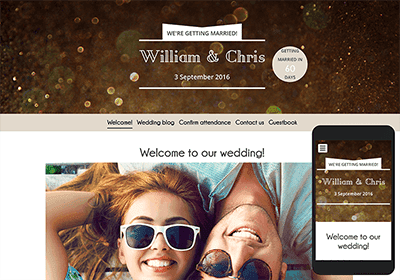 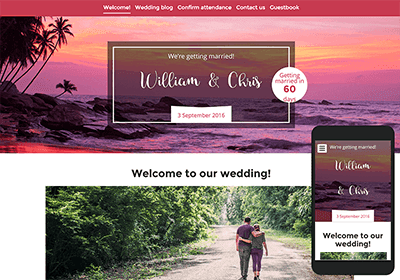 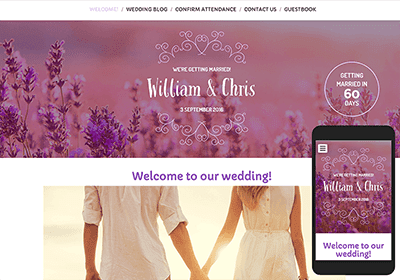 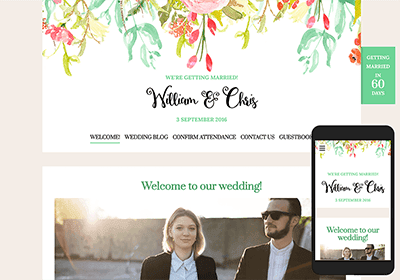 Create in minutes Easily personalize your website by choosing a design and adding your wedding details. 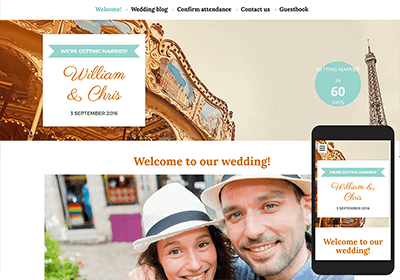 Recommend accommodations Share hotel details and unlock special rates for your guests. 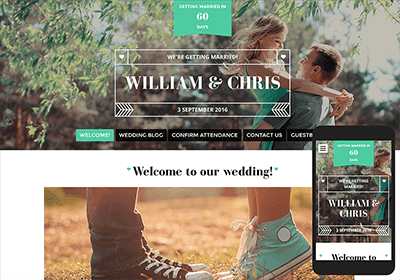 Plus, make it easy for your guests to remember with a unique and personal website domain. 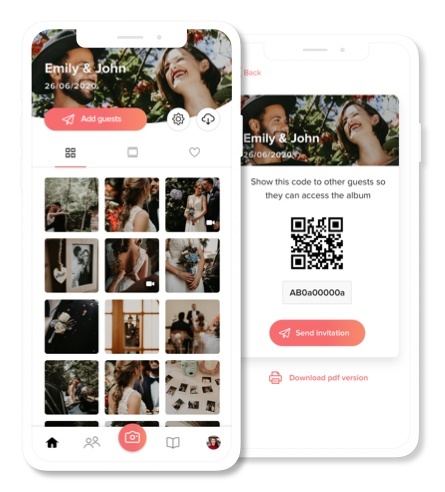 Get the WedShoots app to collect and download all of your guests' photos in one convenient place.